Demographic Ratios tell you how many people there are per POI, based on the market you're exploring. 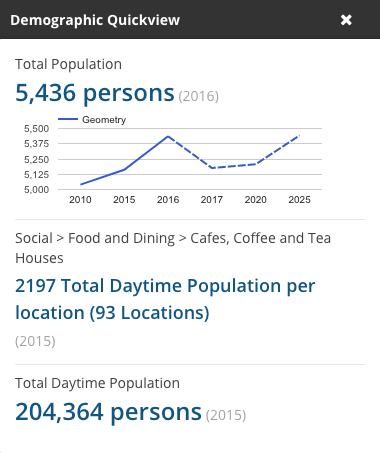 For example, how many people are there per coffee shop during the day in downtown Toronto? 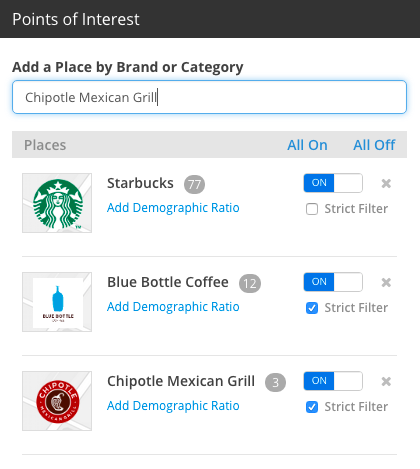 Learn more about our new Demographic Ratios feature here. Simply type in the concept that you're looking for and we'll suggest brands and or categories that your keyword fits. E.g. 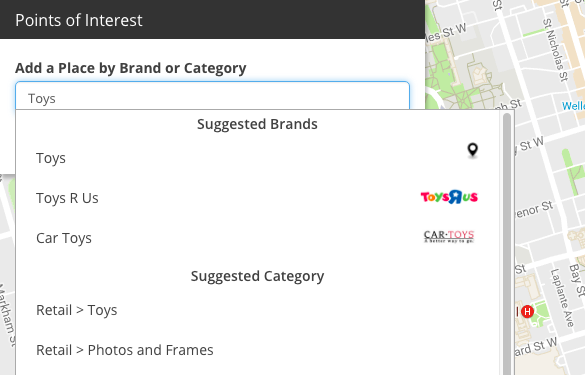 typing in "Toys 'R' Us" will show the store itself, but also suggest entire categories like "Retail > Toys". Learn more about finding POIs here. 3. Exact Search is now "Strict Filter"
Strict filter narrows in on the results that are shown to exclude anything that doesn't have an explicit match on your search. For example, if you look for "Subway" you'll get more results than just the sandwich shops. Turn on the strict filter and you'll weed out other irrelevant locations like "Grandview Subway Station." Learn more about strict filtering here. Look at the number of businesses by heatmap view instead of just points on a map. 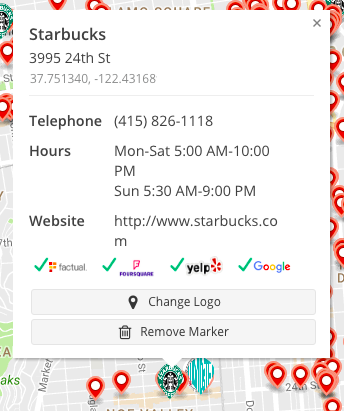 Pick a category or specific Brand and find out where there are hotspots with lots of Cafes, Banks, Schools, Hospitals, etc. For more information on using the POI heatmap, see here.